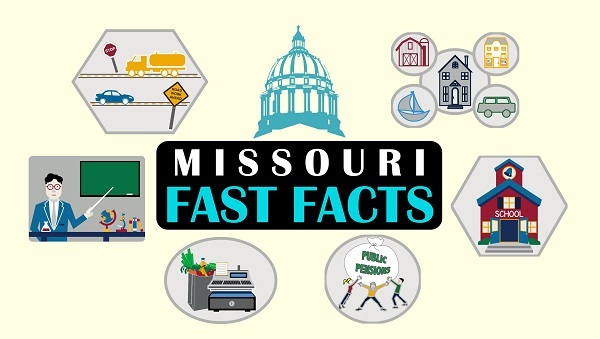 The Show-Me Institute is proud to present Missouri Fast Facts  for 2015. These Fast Facts booklets cover a variety of topics and contain useful information that people can reference without having to scan through 100-page reports (that's our job). Want to know by how much Missouri's public pensions are underfunded? Just check the Pension Fast Facts for an answer. Want to know how Missouri highways are funded? Take a look at our Transportation Fast Facts. These booklets are packed with information, but if you want to know more about any of the topics they cover, please visit our main website, showmeinstitute.org .